Global Warming Over Land Is Real: CU-Boulder, NOAA Study | Watts Up With That? The thermometers got it right. The Earth is warming, another study is reporting. Climate scientists recognize that changes in weather observation stations’ immediate surroundings — such as neighboring trees being replaced by heat-absorbing concrete — can eventually throw data from such stations into question. But now, a new study directed by a researcher at the National Oceanic and Atmospheric Administration that recreates climate history without the use of land-based observation systems shows the same thing that thermometers have been reporting. “This shows that global warming over land is real,” said Gilbert Compo, a scientist at NOAA’s Cooperative Institute for Research in Environmental Sciences at the University of Colorado. Compo and his colleagues used an alternate method to review the planet’s temperature history from 1871 through 2010. They deployed what is called 20th Century Reanalysis (20CR), a physically based, state-of-the-art data assimilation system using barometric pressure records, ocean surface temperatures and other factors independent of land-based readings that can be skewed by changes in their surroundings. Compo’s team came to a conclusion that supports land-based instruments’ reporting that, since 1952, the Earth has shown a 1.18 degree Celsius increase in air temperature over land. Compo, in an email, stated that the actual number the 20CR analysis showed for warming since 1952 was 0.78 degrees Celsius, which he termed “statistically indistinguishable” from 1.18 degrees Celsius. Here’s the associated study; Independent Confirmation of Global Land Warming without the Use of Station Temperatures and abstract. That would also mean that there result is “statistically indistinguishable” from 0.38 degrees Celsius and so would support equally the idea that there has been significantly less warming that shown in the thermometer record. The Compo et al reconstruction flattens after the 1997/98 El Nino. The divergence in recent years was more evident when we used typical GISS and UKMO base years. Compo et al shows a significantly lower trend since 1976 and an exaggerated spike in 1943 associated with the multiyear El Niño then. They also show a later start to the rise during the early warming period. I don’t think anyone has disputed that the temperatures have warmed since the 1970’s. I don’t think anyone has disputed that the temperatures have warmed during the 20th century since the end of the Little Ice Age at the end of the 19th century. Translation: Campo and his colleagues used an alternate method to review the planet’s temperature history from the end of the Little Ice Age through the present time. I would expect to see warming. The study does not prove anything except we have been in recover from the Little Ice Age. Why don’t they take their study back to 1000AD so we can put the current rise into context with the cooling going into the LIA? How much more evidence do we need? The accuracy of the instrumental global surface temperature record is essentially settled science at this point. The Earth is warming, it’s warming very fast, and continuing to deny this fact is a waste of time. Note: the Compo et al. (2013) results have been incorporated into the rebuttal to the rebuttal to the myth that the surface temperature record is unreliable. “Robust” is one of the nice political spin words that is conveniently vague enough that any claim made using it is non falsifiable. It has no place in science , thought it is frequently used. As soon a someone says a result is “robust” I get suspicous, it usually means it isn’t but they’d like you to think it is. This paper does not demonstrate the “robustness” of the IPCC’s land warming any more that it denomstrates the robustness of doubts raised about the accuracy of the station record in Fall et al and Watt et al. I’d assume he’d find a change in his salary statistically indistinguishable if he’d only get paid two thirds of what he’d been told to get as well? Man, there’s those really precise figures again. Gotta be good science if you tack on enough siginificant digits. OTOH, based on the coverage & precision of the proxies & instrumental records, I’m sure that 1.18, 0.78, 0.0, -4.2, 8, & 0.01 are all indistiguishable. The plot from the paper that Bob reproduced in his article also shows that this study going in the same sense as my contention that the Met Office bias “corrections” are removing a significant amount of the climatic variation from the early (pre WWII) part of the record. Since that article was only looking at SST , it seems that _despite_ much of the early variation having already been removed from the SST data they still found greater variation in land temps when using it as a base for this study. Maybe some ought to reassess the SST record with reference to barmometric data as well. Is this the same unit that has redefined “sea level” from being “the level of the sea measured against the land” to ” the level of the sea measured against what we say WOULD have been the land if certain things WE claim have occurred had not occurred”? When the time comes for judicial accountability, these will be amongst the first and most severely judged. Darn, they must have done one heck of a manipulation job to match GISS and HadCrud temperature manipulations. “Compo” is also a hilarious character from the long running British sitcom, Last of the Summer Wine! “Global warming is real”. What a childish meme. In response to the impression that it is somehow “not real”? Of course it’s real. Right now, it’s NOT HAPPENING. But it’s still “real”. But the purpose of this study, is an effort to make it “real”, I guess. Ow, it hurts to read. If some data in a database cannot be trusted and nothing is done about it, doesn’t it make the entire database useless? Does NOAA acknowledge UHI now? Question from a non-scientist: who decides where the 0 on the left-hand scale goes? Most folks will assume that 0 is a baseline to something, but without knowing what it isn’t helpful to me. Is it the normal BEFORE something happened and temperatures plumetted and we are now above the historical norm? 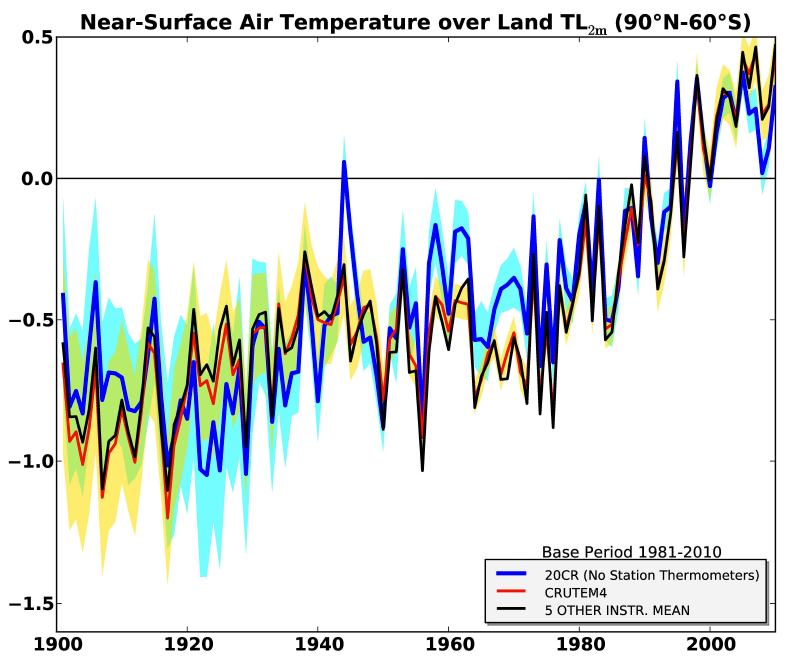 And how many standard deviations are we talking about here in terms of temperature variation around this 0 line? The quality of this reanalysis will depend on the quality of SST data. Which is known to be much better since 2003 because of ARGO. So why aren’t they worried that they have a “divergence problem” for the period with the best data? More spin masquerading a science. Of course the 1952 to 2010 period is “warming more rapidly” than the longer 1901 to 2010 period which includes a 30y period of global cooling. So what? This is yet more of the insidious process of injecting an idea biasing the reader without actually making a factually incorrect statement. The implied message here is ” recent period is warming more rapidly … as is expected due to CAGW”. What is actually says is that if you take two warming periods plus a cooling period in a data set that shows a strong periodic variation and compare it to just one period that is ONLY a rising segment , the latter will be steeper. This is neither surprising nor informative, In fact presented like without saying why they consider fitting a linear trend to an periodically varying dataset has ANY validity at all is downright misleading. Again, they are not stupid. They are trained scientists. If they are smart enough to be doing Kalman filters etc they damn well know that this trend fitting jive has no validity.and is downright misleading. This is another case that would appear to fall within the NSF definition of scientific fraud and malpractice. If the actual figure [0.78 deg] is indistinguishable from their estimate [1.18 deg], why not simply use the actual figure? I am tired of mathematical and semantic tricks; give us data! The Huffington Post is as unbiased and scientifically accurate as the BBC. Land temperatures will be more variable than sea surface temperatures and not just because of the difference in planetary area. Land has far more variables in heat retention, thermal conductivity, rock type, plant cover, height above sea level, amongst many others that will affect surface air temperatures. Thermally the oceans are all composed of the same thing with known thermal properties. I am carrying out an experiment now using two digital thermometers, with 0.1C accuracy, to measure temperature in my garden. They are 30yards apart and can differ in readings by up to 4C. whilst my experiment may not be the most stringent it does demonstrate the difficulty of measuring a simple thing like temperature. Climate is not a static thing and we had some (unexceptional) warming during the 20th century. The wavy diverged upwards in a wavt sort of way, and no one has the foggiest (unless you are bigot) which way it will wave over the next century. (except it is at a high point so down seems a good guess). Send for Nora Batty!! She’d soon sort Compo out. The actual is estimated to be 0.78; the instrument record shows 1.18. 0.4/0.78 = an exaggeration of 51 %. “Statistically indistinguishable”, he must be rounding to the nearest integer. No, Dave , what they mean is that the uncertainty of their method is larger than the difference between their result of 0.78 and the IPCCs 1.18 degrees. Except that they don’t present it like that. The corollary of that is that it is also “statistically indistinguishable” from a much lesser rate of change like 0.38 degrees. In truth this study does not tell us anything new , it just hides behind the vagueness of the word “robust” to pretend to say something when in fact that is meaningless. The study itself is of interest since it uses different data. However the uncertainty does not justify the conclusion that it in any way confirms IPCC is more correct than a much lesser rate of change. Did they just say that roughly 50% of the temp record is UHI? Greg Goodman, Great idea, using your logic you can rewrite the above paper as ipcc massively wrong on global waming by up to 0.80 centigrade !. Alex says:	Did they just say that roughly 50% of the temp record is UHI? The figure of 0.13C / decade seems to be fairly consistent no matter what the measurement method (satellites, CR20 etc). Why do I always think of “Last of the Summer Wine”, a scruffy little unshaven fellow, wearing wellies, old trousers held up by string, a patched jacket and a knitted green hat? What my research indicates is that, yes, there has been warming over land. But it also demonstrates that the warming is at least 50% exaggerated, and, more likely, doubled. The study period is from 1979 – 2010. Siting and equipment appear to bear most of the blame. sparky says:	Greg Goodman, Great idea, using your logic you can rewrite the above paper as ipcc massively wrong on global waming by up to 0.80 centigrade !. Hey, it’s not my logic it’s _theirs_. That will do nicely once they get tired of pushing “weird weather”. NotTheAussiePhilM says:	The figure of 0.13C / decade seems to be fairly consistent no matter what the measurement method (satellites, CR20 etc). for what period are you making that comment? The whole idea of a linear rate of change is meaningless in terms of climate which is anything but linear. Once you fit a “linear trend” to something that is not linear, there is always the implicit and false assumption of ” if the current trend continues.. blah, blah, blah”, when of course it’s not linear and there is no reason to even conjecture that particular ‘what if’ because the system does NOT conform to a linear model. Inappropriate models lead to false conclusions. How many studies this year have shown recent warming? You can almost smell desperation in the air. If CAGW isn’t real, these scientists might actually have to *gasp* earn their paycheck. Using the same logic of studies such as these, if the present trend continues I predict there will one study every day telling us the global warming is real by 2050. The graphs title indicates the data span 90N – 60S which leaves out the world’s 5th largest land mass Antarctica. Why was this done? Perhaps it was for lack of data or perhaps it was for convenience because including the Antarctic may tend to bend the curve downward some consistent with the observed trend of increasing Antarctic sea ice. So, it’s real. We know that and this paper doesn’t add anything but sources of confusion about the reality. The question, however, is why it warmed. This paper is significantly less than useful about that question. The question is also how much it has warmed. “Significant digits” is another critical anomaly in the AGW equation. The albedo is effected by type and percent of cloud cover, percent of ice/snow pack, percent and state of vegetation and all of these reflection variables are also governed by the solar incidence azimuth angle. There can be no proxy for this value prior to satellite measurements, which are then averaged to 0.3, with high statistical deviation. Any ‘derivation’ with this degree of deviation would be invalid beyond one half of a degree in temperature variation….unless….you are a scientific deviant. Stop the presses! Warming is real! Call me gobsmacked. Who knew? Next they’ll be “telling” us that climate change is real. Warmists do love their straw man arguments. Of course, the clientele for this new load of climate bilge are those without much gray matter, and without the ability to distinguish actual science from propaganda. I always think of “robust” as an adjective describing tomato sauce, like in Italian cooking. So, global warming is “real” according to this. Again, tell us something we don’t know. There was slight warming over a certain, statistically insignificant time frame. The next step is to correlate that factoid with causation. Which nobody can. Oh, if only all the research dollars had gone to actually trying to figure that out. And for the record, if I’m searching for something online and any of the results say “huffington”, I never, ever click them. There’s more fluff on their servers than even SciAm or NatGeo. This paper had no correction for Urban Heat Island effect in the temp record and thus does nothing to address the UHI in the temp record. Conclusion: this could be a simple confirmation of a data artifcat (UHI) and say nothing of warming. If their gray bars are that big…. Greg Goodman, Sorry about missing r, wasn’t having a go at you, merely suggesting that all we need is a catchy headline, correct the conclusions and then we really can re release this to the the press. If I move my sitting-room thermometer closer to the fire will the instrumental record show that my house has warmed? If a brick and concrete city is built around an established temperature recording device will the recent record show that the Earth has warmed? No and ditto. We never use the “r” word when describing our stats. Correct. This paper is mathematically misleading. If the trend changes when you change the end points, then what you are showing is not the trend. What you are showing is the sensitivity of the trend – which tells you how reliable (robust) the result. In this case, the trend is not reliable, because it changes as you change the end points, which tells us that a linear trend is not an appropriate way to estimate the trend. Which tells us the result is not robust. Back when I was in high school (during an earlier period of the Holocene) I was taking some kind of math class. Trigonometry, sociology, algebra, calculus; I couldn’t tell you which math class it was. And I was tortured by a teacher who insisted on giving us tests, not once in a while, no, every single damn day. The least she could’ve done was make them multiple choice so I would’ve had at least a prayer at guessing at the right answer. No, she couldn’t even offer that salvation. Day after day I handed back blank tests. Then one day the Angel of Mercy appeared in the form of a question on one of the tests. The question was: When x [or whatever it was (owiw)] is divided by the square root (owiw) of (owiw) where does the 0 lie on the graph? Now, I know that’s all pretty vague (Like you expected it wasn’t gonna be?) but the important point is the last part, “where does the 0 lie on the graph?” Finally, a god did indeed exist, for I did not have to hand in a blank test again. I had an answer. So I wrote it on the test. This is true. Oh where, oh where does the ‘0’ lie? Ok, I didn’t pass that test. But I’ve just gotten to thinking. Why can’t Trenberth and all the others who are just as clueless as I was back then, just simply write a poem? They could even copy mine. Oh where, oh where does that missing heat lie? They can go ahead. I won’t sue. But no, they’re now relying on Compo to dig ’em out. Jeez, I had more character as a teenager. The other thing that is “indistinguishable” is the difference in the rate of warming between the 1920’s-1940’s warming and the 1970’s-1990’s warming. In fact, it appears the earlier warming was MORE rapid. Well, we definitely do think it has warmed. That’s going by TOBS-neutral, well sited MMTS stations. We do not ascribe cause (though we currently believe there are both anthropogenic and natural influences). But it does appear to have warmed. Our study occurs during a warm PDO phase (1979 – 2008), though, so during that period, at least, a significant portion of the warming is natural. IPCC4 gives 0.76°C [0.57°C to 0.95°C]. If 0.78 degrees Celsius, is “statistically indistinguishable” from 1.18 degrees Celsius (so what?) from 1850-1899 to 2001-2005 , how does this differ? Have these “researchers” ever heard of the concept of significant figures? Who pays for this BS. The AGW true believers will hold onto any reason to hold onto their faith in apocalyptic doom. I really don’t understand why everyone is being so harsh ? This paper by Composte et all follows in the tradition of Muchrot, Scheissen et al’s recent paper and it is without question full of robust excrement. Indistinguishable from B*********. The issue is not so much if “warming is real” but what the magnitude of the warming (climate sensitivity) and what portion is anthropogenic. All this fuss over a temperature record that can never be verified, ever. Land based temperature data is hopelessly contaminated by changes in instrumentation quality and accuracy, recording methods, siting issues, time and frequency of observation, uhi and much more. Add to that spacial coverage that isn’t even close to being sufficient, not to mention the huge variability in both density and longevity of different parts of the world and then add to that the fact that land based temps only cover 25% or so of the globe. What have you got? Crap data that cannot be verified against ANYTHING. Well, except for the data since 1979 when satellites started gathering data in a methodology that is at least meaningful. Of course they aren’t reporting anything alarming so let’s reanalyze 100 years of data prior to the satellites, knowing in advance the result will be a poor approximation of crap, and hope we find something alarming there. The link is for Campo the article says Compo. I say potato you say tomato let’s call the whole thing off . 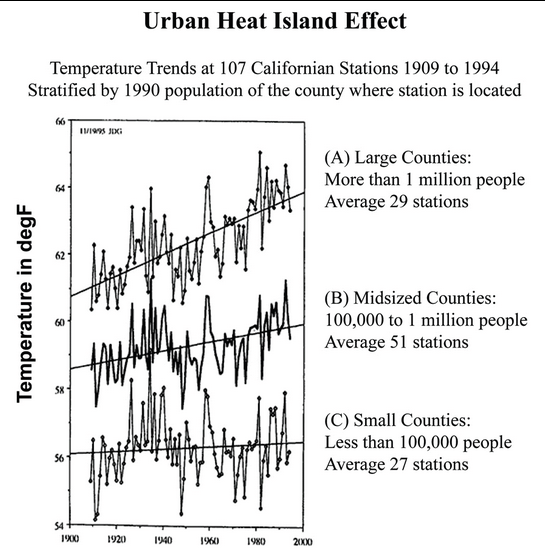 It’s interesting that so much of the “increase” in temperature occurs after the 1990 measuring stations reorganization ( or fiasco), is it even scientifically sound to do a single trend including both before and after 1990? The Catastrophic Climate Change proponents have too much money at stake to let it go. Zero out the funding and watch the issue die. Huff Post – now that is political journalism at it best! What is better is that the editors do the thinking for me! And they are shocked we’re not still in the LIA………..
Well of course. If temperatures hadn’t warmed from 1871 through 2010, we’d still be in the LIA, and that’s a big step. Now they need to come to grips with what were temperatures like before the LIA, because they must have come down from prior temperatures to say it was like a Little Ice Age. Medieval Warm Period, anybody? They’ll get it someday. Then they’ll realize anthropogenic CO2 didn’t cause the MWP and they’ll be jumping off bridges and tall buildings. It happens–A is A. If you mix a gallon of sewage with an ounce of wine, you end up with sewage. If you mix an ounce of sewage with a gallon of wine, you end up with sewage. Researcher bias is well documented in the peer reviewed scientific literature. It is unavoidable unless steps are taken to eliminate it. Since no steps were taken in this study we can be 100% assured that researcher bias is present. In other words, the study is worthless. One has to wonder how this amazingly accurate barometric pressure method of calculating temperature was calibrated? Meaning, if barometric pressure is a better barometer a temperature (pun intended) than a thermometer, why not replace all thermometers with barometers? This yet another in a seemingly endless string of pseudo-scientific claims of extraordinary precision in predictable outcomes. My hunch here is the sample size used was much too small for meaningful extrapolation of the temperature recorded by the much larger set of stations. So the study over a smaller set of stations might (and that’s a large leap in itself) be valid, but the results are likely unreliable. Not only ” what portion is anthropogenic” but how much it would cost to be able to make miniscule changes to the climate (if we actually could). I can’t readily find it, but I’m sure I remember Ross McKitrick did some analysis of the cost/abatement. 2 + 2 = 4 is “statistically indistinguishable” from 2 + 2 = 5. Oh where have I heard that before? 1984 maybe? Translation: Their efforts using land based temperatures had been totally debunked so they created this 20th Century Reanalysis system that is opaque to everyone and safe from detailed debunking. The first step in becoming a good analyst is to learn that one’s analytical tools cannot be more complicated than the object that they are used to analyze. Yeah, but… it’s robust sewage. Is it ‘Compo’ or ‘Campo’? This is significant to UK residents who watch ‘Last of the Summer Wine’ on TV. Both of them. Notice the spin: the abstract begins with “Confidence in estimates of anthropogenic climate change” – thats “ANTHROPOGENIC climate change” – goes on to say nothing at all about any criteria for attribution of the temperature changes to any cause, and concludes with, “demonstrating the robustness of previous conclusions regarding global warming” thereby insinuating that previous conclusions (what? whose?) about ANTHROPOGENIC global warming were “robust” while carefully and explicitly not saying so. Phil Jones is a co-author on the paper. The research team’s results support previous research by others that land temperature trends have an upward bias of up to 50% due to weather station siting artifacts. The researchers stated that the actual number the 20CR analysis showed for warming since 1952 was 0.78 degrees Celsius, which is “statistically indistinguishable” from the sea surface temperature increase of 0.57 degrees Celcius over the same time period. The roughly factor of two difference between these results and the consensus position of a 1.18 degrees Celcius increase over land has dramatic implications for estimates of climate sensitivity and climate policy. In General Chemistry, we teach the students a quick and simple method to determine error. The equation is the absolute value of (actual value – experimental value)/(actual value) then multiply by 100%. So if 0.78 C is the actual value, and 1.18 C is the experimental value, then we come up with a value of 51 % error. 51% error is statistically insignificant. Got it. The graph shows warming of about 0.8 degrees in the 20th century. That agrees with observations. The graph shows almost no warming in the 21st century. That agrees with observations. The only conclusion can inferred from the record is that the earth is getting mildly warmer and there is no acceleration of warming. some fun with numbers. convert everything to K. Now you have 0.4 / 273.93 = 0.14% error. We see this all the time in climate science. Change the scale and you can create anything you want with statistics. The average temperature of the earth over the past 100 years has been stable to 0.8 / 287.65 = 0.27%. The thermostat in your house is very unlikely to hold your household temperature to such a fine limit. And yet we are supposed to see this as a sign of impending disaster. It is surprising that we don’t all die from regular cycling of the furnace in winter and the massive amount of warming and cooling that results as compared to global warming..
University of Colorado – I-25 Corridor politic with Grant dollars into Wyoming -Cheyenne and Casper. An evolution of ‘time is on our side’ science suppressing cowboys simple politic. There seems to be an unstated assumption that the UHI effect does not affect barometric pressure. I can think of several reasons that temperature and barometric pressure might be correlated, but I see no reason to assume that a localized heating of air at the 2 meter level, whether it has to do with large paved areas, changes in crops, or meetings of weather experts, would not affect the local barometric pressure. It has been my observation that air tends to circulate up from a warmed surface whether it is a small hotplate or a few hundred acres of freshly plowed farmland surrounded by vegetation covered land on a sunny day. I will make a SWAG here and postulate that this may be an indication that the heating of the air immediately above the warm surface has caused a localized decrease in barometric pressure so that the higher pressure air immediately surrounding it displaces it and forces it to rise. It might be possible for someone to convince me otherwise, but first they would have to convince me that there was a possibility that they were credible enough for it to be worth my while to listen to them. When they are using computer models and picking the inputs, the first steps for them would be to demonstrate the validity and relevance of the inputs. (Does anyone out there know of any weather modeler that has actually looked at the raw data that was used to generate the reports that formed the basis for the chain of papers that he is relying on?) The next step would be to demonstrate the validity and relevance of the computer models. The first computer that I built was based on the brand new Intel 8080 chip. I bought two state of the art 8 inch floppy drives to go with it. I managed to mess up the directory on the disk which came with them, so I had to rebuild the directory. Fortunately, they provided enough paper tape programs that I was able to access the disks and recover almost everything on them. This included a bunch of stuff that was marked as deleted and included the source, in basic, for their game called Moon Lander where the player was given information on velocity and remaining distance and fuel (it considered only vertical motion). The player had to input burn rate to bring the craft to a safe landing. The game became much more interesting for me after I modified it to require a log in so it could track your progress after a series of attempts. I managed to lose the game when upgrading from a 486 based PC to one with an AMD chip. Throughout those years numerous people were shown and amused by my first computer game. I was fascinated by the fact that, while it was often remarked that I had become very proficient at the game over the years, no one ever questioned whether the rules might be different if you logged in with my name. I was amazed by how different those rules could be without even one person becoming suspicious. A computer carries its own credibility for naive or gullible individuals. I have been bitten by purchased programs ranging from schematic capture and layout packages to early mechanical design programs and have discarded literally thousands of dollars worth of software that had problems which kept me from relying on them. I have also written programs for modeling more than a few physical systems. The step of convincing me that a program or model is valid and relevant is very high. You’re right, just watch hawks and notice where they catch updrafts. I do. More precisely I dispute that anyone knows. How does a barometer even measure temperature year to year? Quite simply it cannot. Barometers measure pressure. If you warmed the entire atmosphere the mass would remain the same. It would simply expand to a greater height. However, the net gravitational difference would be insignificant and thus there would be no measurable barometric pressure in comparison to say for example the natural change we see in barometers every day due to solar heating and nighttime cooling. The noise in the daytime/nighttime signal alone would drown out the long term signal. This doesn’t even begin to take into account the solar effects on the atmosphere which most definitely change the height of the atmosphere and thus the gravitational force on the atmosphere and thus the global barometric pressure. So, resistance is futile then? If CO2 is the cause of all warming since the LIA, and CO2 is well-mixed in the atmosphere (instantly transporting from Industrialized nations to the rest of the globe by some un-explained mechanism), then warming should be equal all over the place, not just “on land”. Of course, using a single “global temperature” is ridiculous in the first place. The body of the study talks about the 9 hour prediction algorithm used for typical predictions, not actual temp data. So what is the standard error of those predictions? At least for NE Oregon, re-using those predictions (or the algorithm they used?) as if they were accurate, is akin to polishing the proverbial turd. Bottom line, much of this research is basic sewer collection with a bit of scrubbing. And then they have the balls to ask us to drink the barely filtered affluent. More Procedural Certainty’ not Representational Certainty. The MSN think if the math is right, the interpreted cause is right. So do emotionally involved scientists and activists. They think post-LIA warming I’d a Unique Solution problem. They think that observations lead to the model, not the model was built to conform to the observations. The think that the IPCC graphs are all forecasts validated by time, not hindcasts improved with time. He with the loudest shriek has the most credibility in the climate change debate. Yesterday NOAA/A has the most feeds because of Hansen. Today, Hansen gone, the NGO Environment America says the 2012 Midwest drought was from CAGW, while NOAA says it wasn’t. EA is now the expert and NOAA is a tool of Big Business. Meanwhile, the developing nations choose cheap energy over the Gore threat of worse weather. Ideology trumps reason, pragmatism and, the worst, the betterment of those other than his comrades-in-arms. The eco green who sees the world better without an SUV next door is not philosophically different from a Hutu who sees no Tutsi next door in the same way. It is his way or the highway for both, one being more direct then the other. Though with the call for Nuremberg-style trials by some eco-greens, you have to wonder how far apart these two groups are in places. Curve fitting is still NOT science and I would add NOT a substitute for mathematics. IMHO: This is statistically indistinguishable from propaganda. Colorado is unquestionably warming. The west face of the Rockies, and New England, are the parts of the US that show a long and strong warming trend. The rest of the country, and the rest of the world, are much more varied with 34-year cycles and 100-year cycles and strong cooling trends and meaningless wiggles of all sorts. So if Boulder people want to call Colorado “The Globe”, then in fact “global” warming is real. The rest of the globe might argue with their hippie imperialism, though. 1. It disproves all of the published so called global average temperatures that came before it. 2. It places the global average temperature outside of the climate models error bounds in that wonderful AR5 figure. A few more adjustments like this will have us still in an ice age. How it comes that while there’s the downward trend in the Sea Surface Temperature since the peak of the solar cycle 23 (http://www.woodfortrees.org/plot/hadsst2gl/from:2000.25/to:2013.3/plot/hadsst2gl/from:2000.25/to:2013.3/trend) there’s still an upward trend in the Ocean Heat Content (http://www.nodc.noaa.gov/OC5/3M_HEAT_CONTENT//heat_content55-07.png). Where all the heat comes from? This looks to me something doesn’t ad up. Anybody? The warming was real, but except the 1975-2005 period there is no relation with CO2. Compared to station records, the new approach shows like the early warming and 194X peak have been dumbed down. 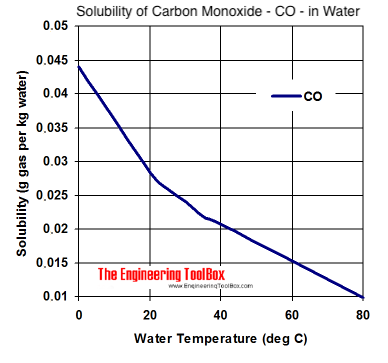 there aren’t any positive feedbacks (or are, but are cancelled by another negative feedbacks) to the CO2 forcing and the CO2 has in fact a negligible effect on the GHE? the temporary slowing of the warming (due to rising solar activity since the beginning of the solar cycle 15 see: http://www.woodfortrees.org/plot/sidc-ssn/from:1855.95/to:1996.41/mean:132/normalise/plot/hadcrut4gl/from:1855.95/to:1996.41/mean:132/normalise) after mid 1940’s was partially due to the accelerating frequency of the surface and atmospheric nuclear testing (as this:http://bos.sagepub.com/content/68/5/66.abstract can suggest) which peaked in 1962 with 140 Megatons detonated (see: http://commons.wikimedia.org/wiki/File:Worldwide_nuclear_testing.png), periodically getting loads of dust into the atmosphere causing dimming as the volcanic eruptions? 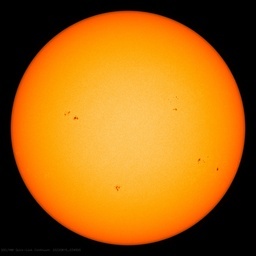 – The solar activity first peaked in SC19 in 1958. Then it descended during 60ties-mid70ties and then it went again up during the solar cycles 21-22 almost at the level of the SC18-19 (the SSN average for SC18-19 is 82.9, the SSN average for SC21-22 is 80.9), causing warming until the mid 90ties and then sharply descending again causing the flat temperature trend throughout 2000s when SC23 had average SSN 53.9 and then beginning of cooling in 2010s when the SC24 has so far only 34.4 average SSN and it will be even lower at its end comparable to the activity in the solar cycle 14 (1902-1913), (-especially when we consider the Waldmeyer discontinuity proponed by L. Svalgaard) when there was the coolest temperature on the record? thus what they may actually be measuring (if anything) is the effect of the sun on the atmospheric height. The pressure data stations appear to be temperature data stations as well. Why would they then think to get rid of siting issues if they use data with about the same contamination ? Goodridge, J.D. (1996) Comments on “Regional Simulations of Greenhouse Warming including Natural Variability” . Bull, Amer. Meteorological Society 77:1588-1599. Just to make clear the point: there was zero warming over land, in California counties with less than 100,000 people, during the period from 1920 to 1994. There aren’t many physical objects that are analytical tools. A laser doesn’t qualify. Learn to distinguish between reality and the language, however simple or complex,used to describe it. All the good analytical tools belong to the language. If you have spent a winter in Boulder then “Boulder is warming” will not mean much. Tell me when it has warmed 30 degrees. Global warming is real but none of it is anthropogenic greenhouse warming. Within the last hundred years there have been three separate periods of warming. The first one was a period of steady warming that started suddenly in 1910 and stopped even more suddenly in 1940. There was no parallel sudden increase of atmospheric carbon dioxide in 1910 and this rules out the greenhouse effect as a cause. It stopped even more suddenly in 1940 when World War II cooling started. That again is a performance quite impossible for greenhouse warming to accomplish. After the war the cold alleviated a bit but even in 1947 a blizzard was able to completely shut down the City of New York. The next warming period arrived in 1976 and was called the Great Pacific Climate Shift. It raised global temperature by 0.2 degrees and was over by 1980. There was no change in atmospheric carbon dioxide. It is impossible for greenhouse warming to create such short step warming incidents. There was no warming in the eighties and nineties until the super El Nino of 1998 arrived. It brought much warm water across the ocean and caused another step warming. This time it took only four years and raised global temperature by a third of degree Celsius. There was no warming from that point on until today. Again, no change in carbon dioxide level. Both step warminngs, 1976 and 1998, are oceanic in origin. The 1976 step warming is associated with PDO changing from its cool to warm phase and has nothing to do with the greenhouse effect. As you will probably have noticed by now, no warming within the last one hundred years can be assigned to the mythical anthropogenic global warming. The Holocene Climatic Optimum was 10,000 year ago and overall we have been gradually cooling with a natural variability of +/- 2.5 C per century. The current temp is +0.5C above the mean average and therefore nowhere near anything suspicious. With no warming of the Tropical Troposphere it beggars belief we are even talking about AGW. Yes, it has warmed over the last 60 years and over the last 140 years. But what I want to know is if their climate models explain anything. RSS is flat for 16 years and 4 months. Hadsst2 is flat for 16 years and 1 month. RSS measures the whole globe and Hadsst2 measures the sea surface, and since they say virtually the same thing, I can only conclude the land alone should also be very close to being flat over the last 16 years. Let’s see…for 600,000 years the Earth’s Carbon Cycle moved 800 Megatons of CO2 into or out of the atmosphere yearly. Now humans have perturbed that system to 33.5 Gigatons a year. Tell that to your insurance company, and maybe the Defense Dept. while your at it. No. No. No. Sorry but this is incorrect. They are proportional only if you hold the volume constant. In the case of earth’s atmosphere if you raise the temperature the volume changes, so pressure is not longer proportional to temperature. In other words, you cannot use a barometer as a thermometer, because there is no practical way to measure the volume of the atmosphere. However, you could place a fixed volume of air inside a sealed container along with a barometer for example, and then use the barometer reading inside the container to measure the pressure. This would them allow you to calculate the temperature of the air inside the container after a calibration period. However, the device would no longer be a barometer. What you have invented is a Rube Goldberg thermometer. It is an unnecessarily complex, over engineered version of the thermometer and will suffer from all the same problems. What scientific basis do you have for assuming that? To give an analogy, suppose you had 100 kg of rock and determined the density was 5.0 g/cc. Then if you took 70 kg of that rock and determined its density to be 4.8 g/cc, it would be reasonable to assume the density of the rest was a bit above 5.0 g/cc. The slope since December 1997 is = 0.00265249 per year. (Granted, this is only 15 years and not 16.) This is certainly nothing to be alarmed about and it is not worth spending billions to avoid. This is in contrast to 0.78 C/60 or 0.013 C/year for the period since 1952 in the article. ‘Next they’ll be “telling” us that climate change is real’. Our glorious PM of OZ is way ahead of you, Bruce, but you’d be hard pressed finding anyone who’d believe her on that or any other subject under the sun. You are right, but my point is, that siting issues have effects not only on local temperature, but volume and pressure as well. The equation of state gives the relationship. As you said, it is rather unlikely (but in some cases possible) that the volume does not change and only pressure and temperature (then equally).change. However, the opposite, that only temperature and volume change and p remains unchanged is just as unlikely. And this is exactly what is assumed and given in the paper and there is no reason put forward by the authors why siting issues should not affect pressure. Do they show 1936 getting colder every year? I’m becoming concerned that time-travelers are stealing heat from our past. Excuse me sir, but isn’t it a fact, that 70+% the globe over land, is actually over the water ? Shouldn’t the heading be changed to Local warming over land is real ? Physically based? Given “only” CO2 and a few other things? So it’s a model that’s fit to some data. That’s not “independent data” where I come from (I left Boulder 30 years ago), it’s a model! NotTheAussiePhilM says: The figure of 0.13C / decade seems to be fairly consistent no matter what the measurement method (satellites, CR20 etc). So global warming is real, over land, but, the Earth is about 70% covered with water, so, if the world is only warming over land that can’t be “global” warming. And The Strawman Argument of the Year for 2013 goes to……NOAA and CU-Boulder!!!! My first response is who peer-reviewed the study? My second response is has it been scrutinised by an independent party necessarily holding a sceptical point of view? It is vital that we know that this study is not just more propaganda… you know, the type where the hypothesis is supported only by cherry-picked data. We sure hope so. Not looking forward to another little ice ages. That would be a travesty for the food supply. Take the sentence “Some man is not mortal.” Take the sentence “All men are mortal.” Both belong to the English language, right? Both can be used to make easily understood claims about reality. Some physical objects belong to our set of analytical tools. Maybe objects used for measurement belong there. Maybe computer code belongs there. But logic and the vast majority of our analytical tools belong to language. You might want to get a copy of Irving Copi’s “Introduction to Logic.” Any edition of that book will do. Increasing waste heat flux, albedo mods, irrigation. Any questions?